When your teeth become stained or yellow due to aging or lifestyle habits, many people run to the store and get an at-home teeth whitening kit. Unfortunately, many of these patients do not get the results they desired and, in some cases, they even experience unwanted side effects from these do-it-yourself teeth whiteners. Here at Quality Dental Care, we recommend you skip these cheap, quick fixes and get a professional teeth whitening service at our Omaha, NE office. Phillips Zoom Whitening is a professional-grade teeth whitening system. Zoom! Whitening is a safe and effective method to get a brighter and more sensational smile. This teeth whitening procedure takes approximately one hour 20 minutes from beginning to end to complete. Zoom Whitening can brighten teeth up to eight shades whiter during treatment. You will also be automatically enrolled in our Whitening for Life Program. With this take home teeth whitening kit, we will provide you with custom bleaching trays and two tubes of bleach. Then, at each six-month preventive visit, we will give you a complimentary tube of bleach for touch ups. This ensures that you will be able to keep your teeth bright and beautiful for life! We offer this service when you demonstrate a commitment to your oral health. You can show your commitment by maintaining regularly scheduled checkups and by completing any necessary treatment in a timely manner. You can print out our Whitening for Life paperwork below; if you have any questions, please call or email our office! 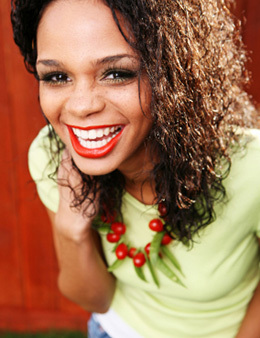 Whiter Teeth- The only reason why people get their teeth whitened is because they desire a brighter smile. 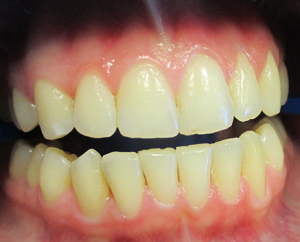 Professional teeth whitenings often take less than an hour and the results are immediate. 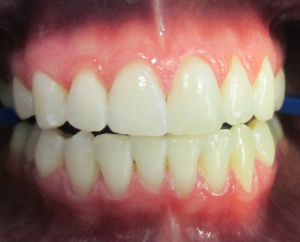 Professional teeth whitening services are also much more effective than at-home, do-it-yourself teeth whitening kits. When you enter our office for a teeth whitening appointment, we will help restore your smile to its former glory and you will leave with a whiter, brighter smile. No Side Effects- At-home teeth whiteners can have harmful side effects on your teeth. Many of these store-bought kits remove the enamel that is crucial to protecting your teeth. Additionally, if these kits are used more often than recommended, your teeth can become transparent, rather than white. Professional teeth whitening services are much safer because they are performed by a licensed dentist. 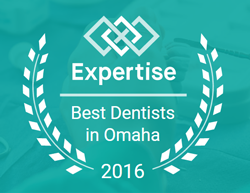 Preventative Care- When you come to our Omaha office for a professional teeth whitening service, your dentist will check your teeth before the whitener is applied. If there are any cavities or other issues with your teeth, the dentist will be able to take note of them and make an appointment for you to get the problem corrected. Affordable- Many people go the do-it-yourself route with because they think at home teeth-whitening kits are more cost effective and professional teeth whitenings are expensive. This, however, is not the case. Professional teeth whitening services are remarkably affordable, often costing around $100 per session. While they are more expensive than at-home teeth whitening kits, they are far more effective and are needed less often. If you are interested in getting a professional teeth whitening or any of the other services we offer at Quality Dental Care in Omaha, NE, you can contact us here or call us at 402.431.8844 to schedule an appointment. We want to give you a sparkling white smile that stands out in a crowd. Give us a call today to set up your consultation.